Discussion in 'Giveaways and Contests' started by tarekma7, Mar 23, 2019. WinRAR is the Windows version of RAR Archiver, the powerful archiver and archive manager. 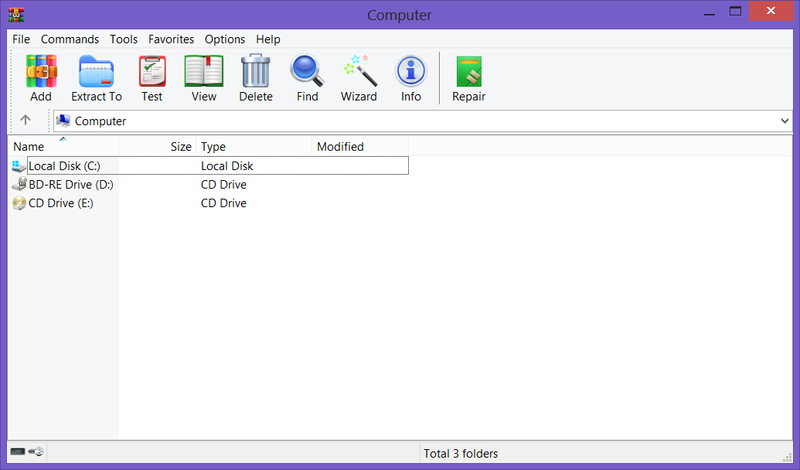 WinRAR can create compressed files in both RAR and ZIP formats. It can unpack most known file formats such as RAR, ZIP, ISO, CAB, 7ZIP and many more. The program was first developed by Eugene Roshal (developer) and Alexander Roshal (Distributor) in 1995. It is the most popular archiving software with more than 500 million users of the program worldwide. It is an essential archiver software that all users need. Moreover, it is compatible with all platforms including windows, Linux, FreeBSD, Mac OS X and Android. RAR files can, in most cases, contain content up to 30 percent more effectively compressed than within ZIP files. 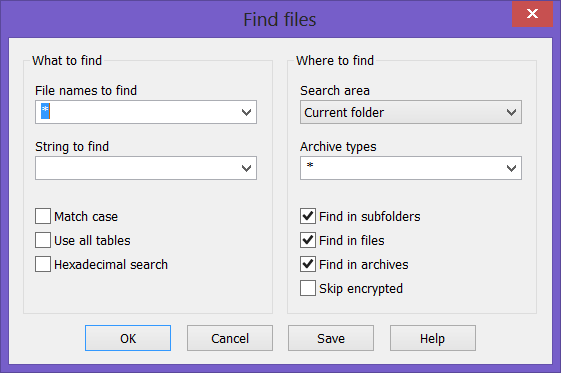 The most notable functions of WinRAR include very powerful document and multimedia file compression, file encryption, processing of other archive formats, programmable self-extracting (SFX) archives, damaged archive repair and Unicode support. Archive view: WinRAR lets you easily browse all files and folders of all archives present on your computer. What is the formats supported by the program? You can add any files or folders to an archive form. 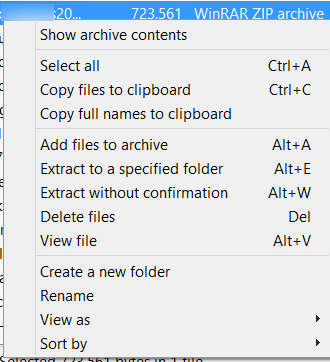 After you select the files or folders, simply right click and choose “add to archive” from the context menu. 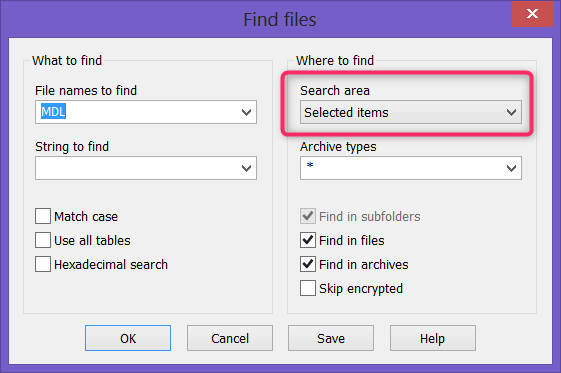 You can also open WinRAR and browse to the file or folder then select add to archive or use the built-in wizards. The archive formats supported include RAR, RAR4 and ZIP. Note that to create archives larger than 4 GB, you need to use NTFS, as older file systems do not support such large files. 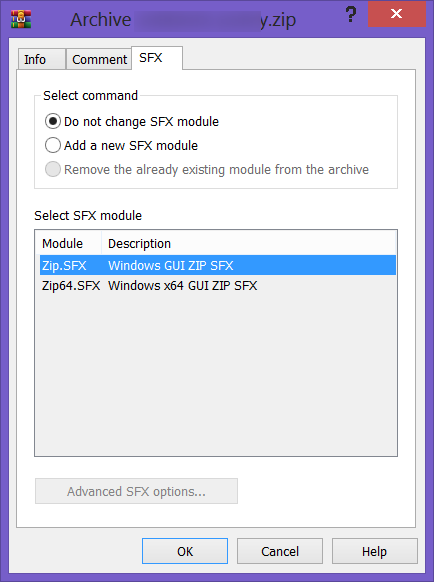 Create self-extracting archives through the built in SFX tool. This allows you to send compressed files to any user with no archiving software needed to extract the contents. This built-in feature helps you to create new archive or unpack (extract) any archive on your computer or add files to existing archive. Simply, start the wizard and choose one of the three options available. 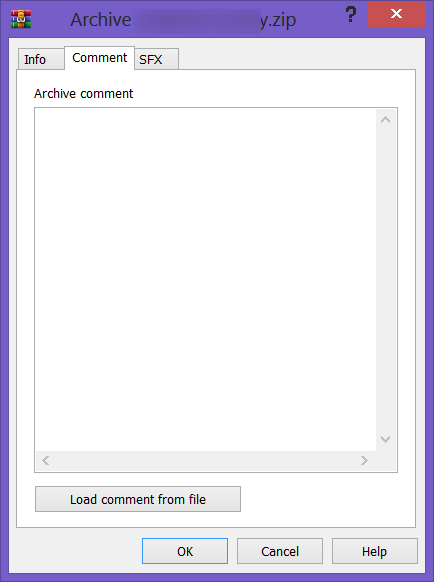 If you want to create new archive, new dialogue will appear and lets you choose the file you want to archive. Click next, you will be directed to advanced options which allows you to add password to encrypt the file, split the output file, delete files after archiving, create self-extracting archive and faster less tight compression. After making your selections click finish. That's all! Using this tool, you can easily protect your files against any unauthorized access. The program will let you encrypt your files with 256-bit strong encryption feature (available with RAR5 format). This is easily done either during creation of an archive or for any existing archive on your computer using password button. Add default password (can be applied for all archives you have and even encrypt file names). If you set “Encrypt file names” option, WinRAR will encrypt not only file data, but all other sensitive archive areas like file names, sizes, attributes, comments and other blocks. It provides a higher security level. Please remember that a good password consists of a combination of letters, numbers, and special characters. It should have a minimum length of 8 characters. 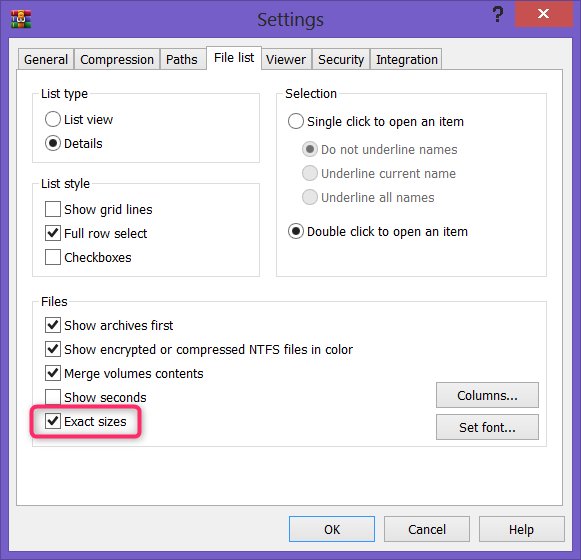 WinRAR supports conversion of compressed files from one to another supported formats. 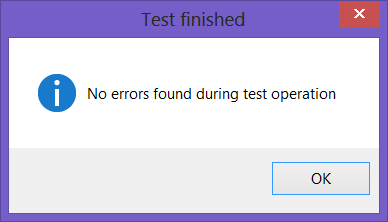 This feature is available under tools menu. 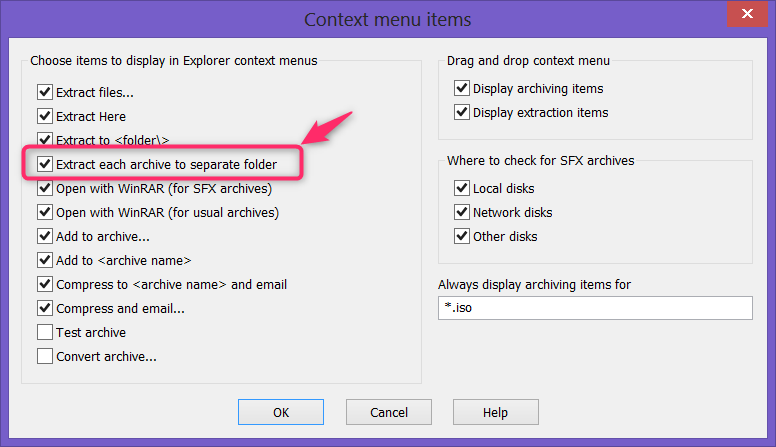 Simply add the file you want to convert then select the output format from the available list and specify the save location. 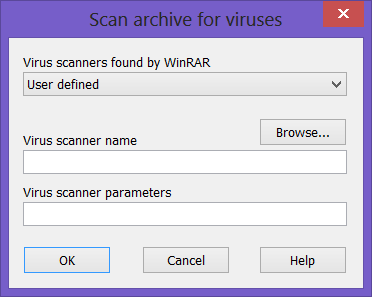 If you have a problem with any compressed archive format, you can easily test the file for any errors using WinRAR. In addition; you can repair corrupted or damaged archives to avoid data loss. 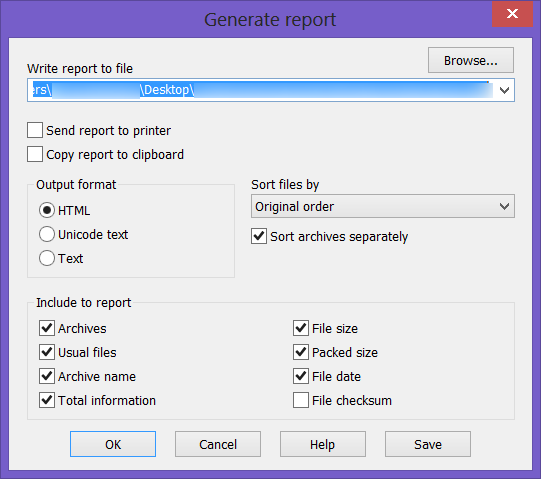 First choose an archive then specify some parameters as the destination, send to printer, send to clipboard, format type (text or html), sort order and finally generate report. New Features in Version 5.70? The new release focuses on usability enhancements as well as on the removal of ACE support which was necessary, due to a potential security risk arising through corrupted ACE archives. 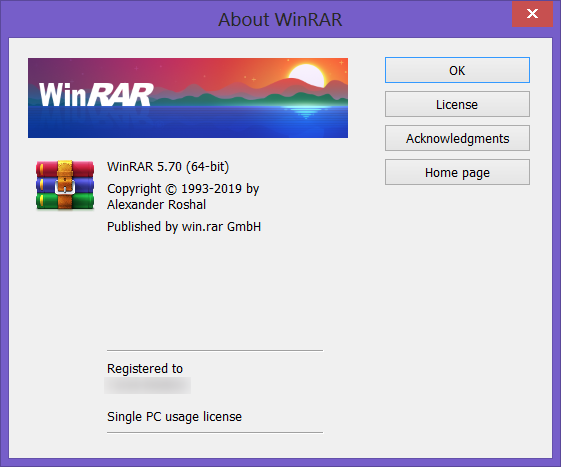 Users not interested in an upgrade or don't find a localized version of WinRAR 5.70 yet, delete the UNACEV2.DLL file from their current WinRAR version to be reliably protected again. All users of WinRAR 5.10 or any newer version can find the UNACEV2.DLL file in the WinRAR program folder. 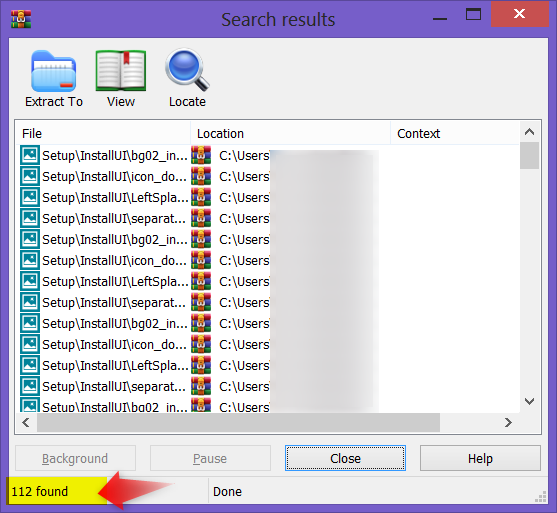 WinRAR users of versions older than 5.10, can find the UNACEV2.DLL file in the Formats subfolder of the WinRAR program. 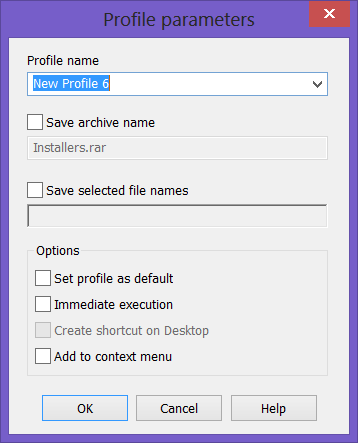 WinRAR users now have the option of working with the different file time stamps that Windows offers. It is possible to choose file times based on modification, creation or last access when compressing data with the "Files to process" option on the "Time" page of the archiving dialog. 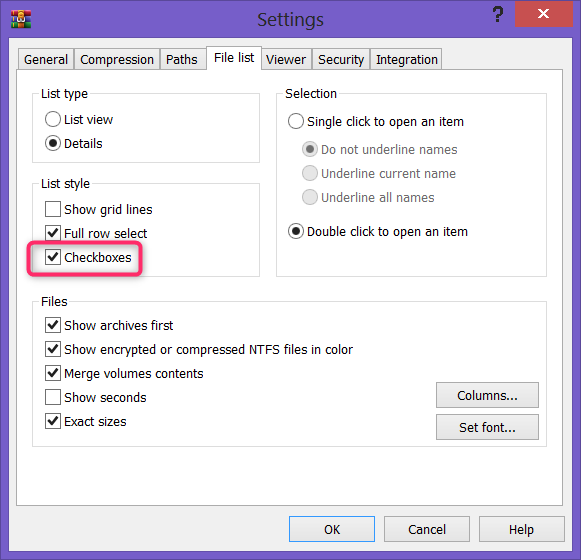 This can be extremely useful especially when creating back-ups with WinRAR. Previously it was possible for modification time only. In addition, WinRAR file list can now display the creation time and last access file times if they are available, providing more information to the user. 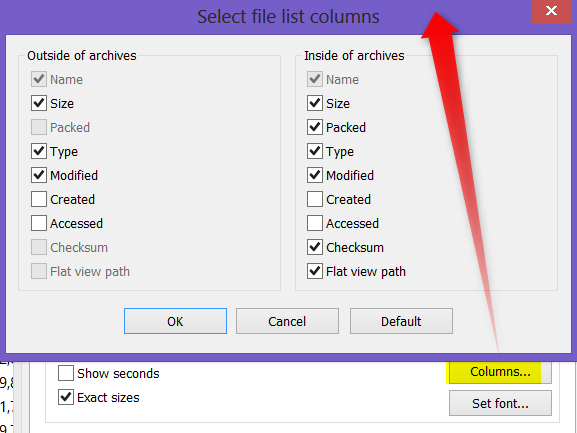 Creation and last access columns are disabled by default and can be enabled in "Select file list columns" dialog. 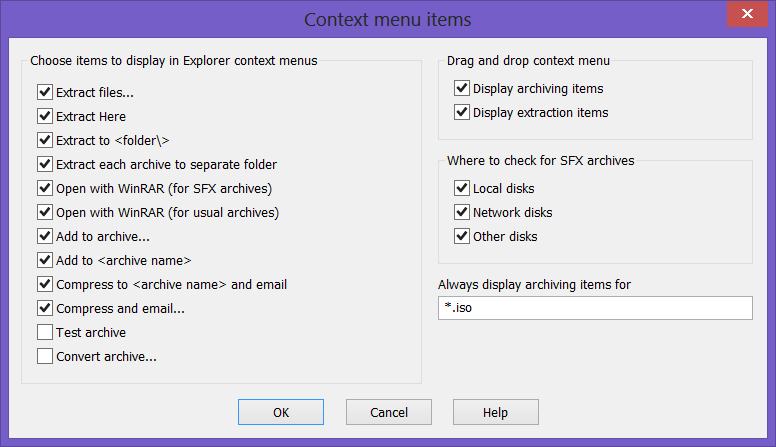 Now, the user can modify the behavior of the option, "Put each file to separate archive" of the "Files" page by the two new options "Double extensions for archives" and "Archives in Subfolders.” This way, back-up options are further enhanced and the user can sort the data based upon their requirements. You can create a separate archive for every file in selected subfolders or store the entire contents of every selected folder in separate archive depending on the state of "Archives in subfolders" option. The new "Files list/Files/Exact sizes" option allows the user to see the file size displayed in bytes when it is turned on. If it is turned off, the sizes are rounded up and shown in KB or MB. 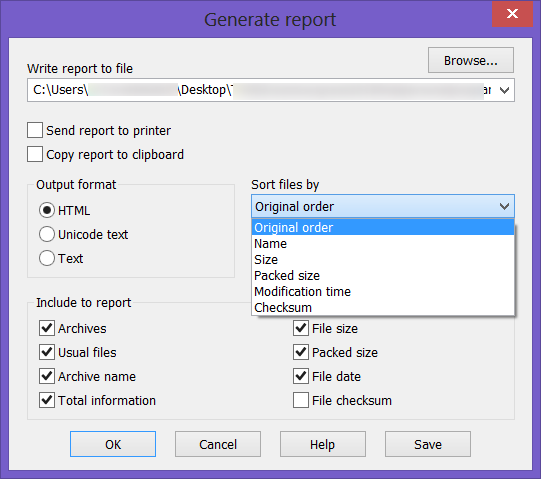 In addition the "File list/List Style/Checkboxes" option allows the use of checkboxes to select file list items and is further improving usability of the software. 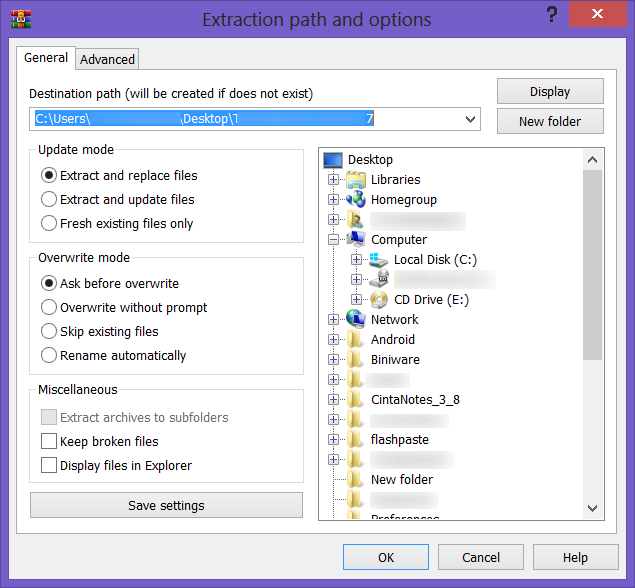 "Delete archive" option in extraction dialog can be applied to a set of: RAR and REV volumes in (volname.part# format), WinRAR will delete REV volumes as well. Previously only RAR volumes were deleted keeping REV files intact. It can be applied to set of ZIP volumes (for example .zip.001, .zip.002, .zip.003 extensions,) WinRAR will delete all ZIP volumes. Previously only .zip.001 volume was deleted for such volume naming scheme. Command line -ta, -tb, -tn, -to switches accept 'm', 'c' and 'a' modifiers after the switch name. So file time conditions can include not only the file modification time as in previous versions but also creation and last access time. The users can find a complete list of all improvements and all bug-fixes here: https://www.win-rar.com/whatsnew.html. Viewer: Viewer type (Internal or external or associated program or ask), internal viewer options, external viewer name. 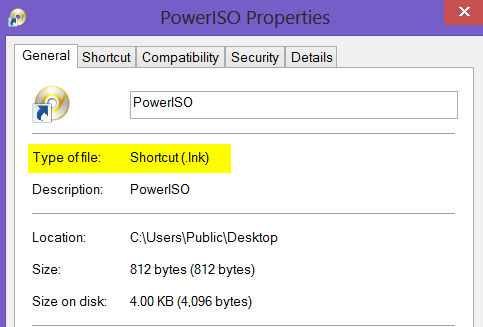 Integration options include the file types associated with the program, shell integration, Interface (add to desktop, start menu or create program WinRAR group) and context menu items. Thanks a lot for another professional review, Tarek. Thanks for the review, Tarek.